Because I sell vintage lighting for a living, obviously I buy a lot of vintage lighting. One criteria is that the lighting have something distinctive about it. 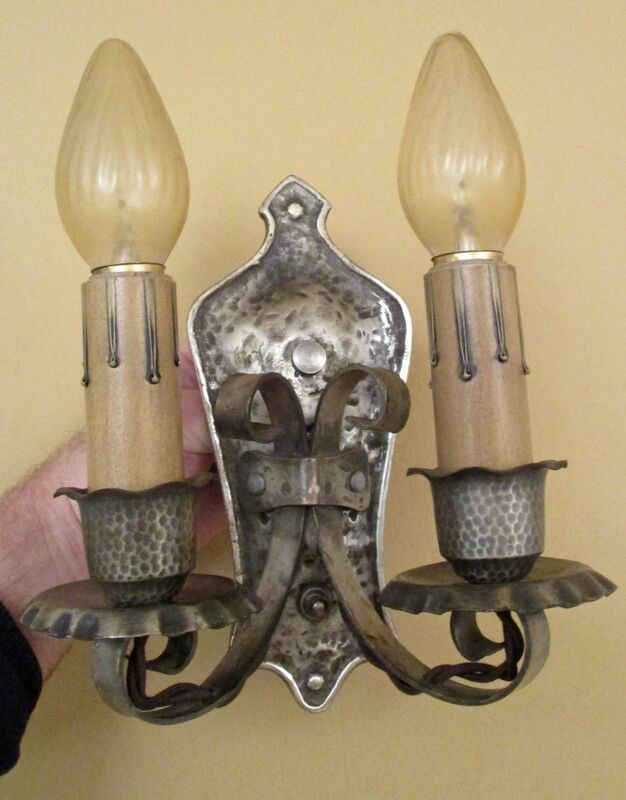 Such as with this lovely pair of Spanish-Revival sconces from the late 1920s. The fixtures are brass, but this has a highly distinctive silvery original finish. I like the quality, too The back-plates are hefty cast brass. And the curvaceous arms, and hammered portions, are nice. 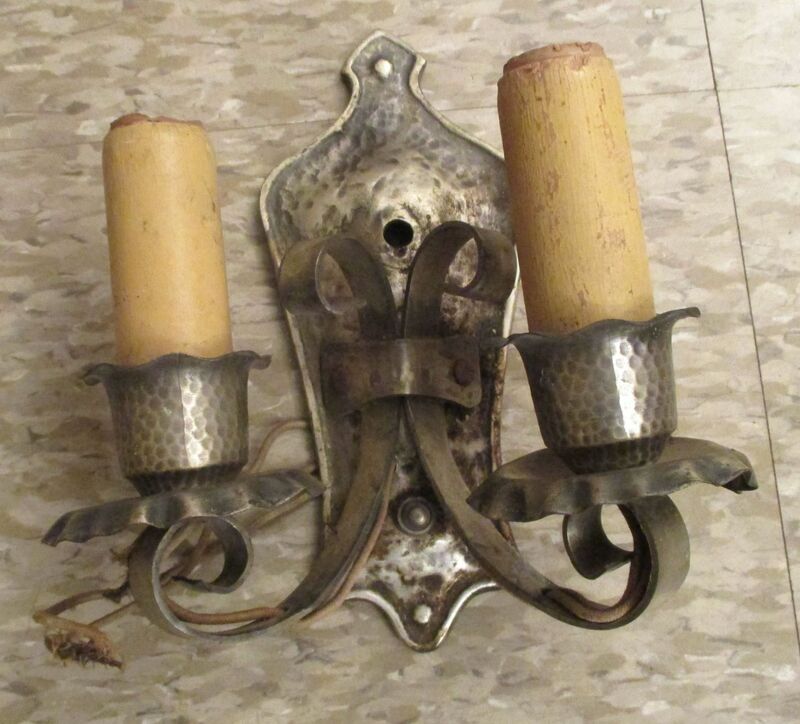 The sconces did not look too bad before restoration, but nor would they have likely captured the attention of many people. After a good cleaning (while endeavoring to protect the original finish), and a rewire with new cloth-covered wiring (a detail which makes ALL the difference in authentically restored lighting), the sconces look much more presentable. Hello! I never tire of the process.